There are multiple forms of models utilized in software engineering to ease the programming or database design. One such model is entity relationship (ER) model/diagram which is a data model utilized for representing the information or data aspects related to a business in an abstract manner. Peter Chen was the person behind development of ER diagrams. Conceptual Data Model – It provides information on what is going to be part of model set which makes it highest level ER model. Logical Data Model – It is detailed form of ER model which helps in establishing relationship of data entities. Physical Data Model – The physical data model is highly detailed which allows in producing a database. Efficient communication: It allows the readers to understand the relationship among different fields in an effective manner. Symbols are utilized to represent information effectively and they also help in comprehending the working of the database. 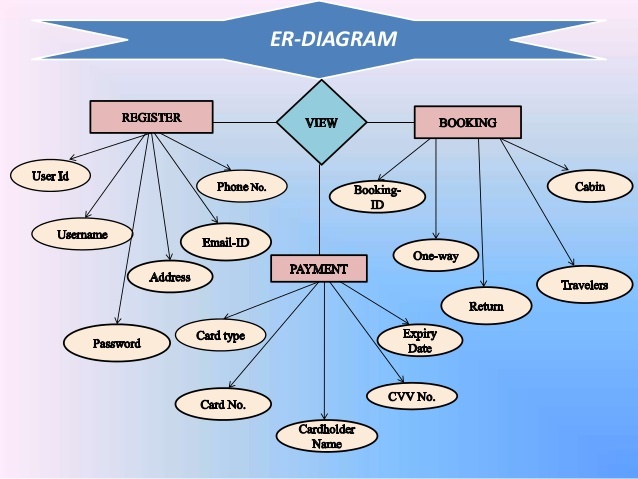 Visual representation: The data-flow diagrams along with ER diagrams can be used effectively for visual representation of the layout. Easy understanding: Due to ease of understanding associated with design using ER diagrams, it can be represented to the concerned people for confirmation. Also, changes can be made effectively on the basis of the suggestions. Highly Flexible : The ER diagram can be effectively utilized for establishing and deriving relationships from the existing ones. Mathematical formulas and relational tables can be utilized for performing this operation. Pony ORM– It allows users to generate database tables using Pony ORM and ER diagrams. Edra Soft– Helps in creation of EM diagrams quickly. Draw – Helps in drawing flow charts, network and ER diagrams effectively. ERD Plus– It can be used to create star schemas and relational schemas along with ER diagrams. Lucidchart – Allows users to import database structure for effective process automation. ERDiagrams– It can be used to download ready to use ER diagrams free of cost. Students may find difficulties in assignments related to ER diagrams. They can take the support of EssayCorp which has hired programming experts with advanced knowledge of ER diagrams. Company provides affordable writing help on ER diagram assignment.